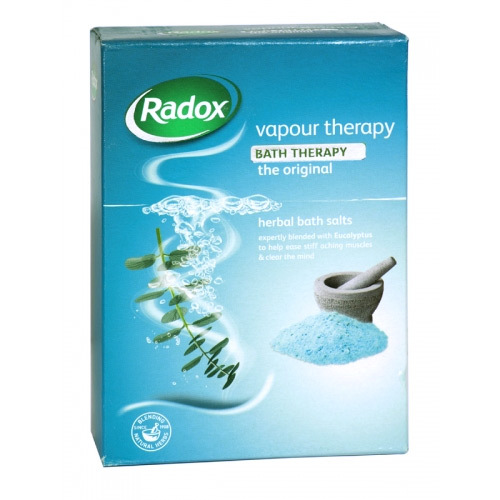 Radox bath salts vapour 400g 6 pack provides relief from stress and fatigue. It helps in relieving the discomfort of head. It contains Eucalyptus which in relaxing the mind and the body. It naturally help to relieve aching muscles, warm shivery bodies. It also includes thyme which soothes the aching muscles. The perfect blend of herbs and minerals helps to treat aches and pains. It stimulates both mind and body thus making the body active. Moreover it soothe away the aches and pains in tired and stressed muscles and makes feel refreshed, rejuvenated.